There are many reasons why a natural, organic or vegan Solid Shampoo simply makes more sense. It is healthier for you and your hair. It is better for the environment by eliminating nasty chemicals which will end up in our water. It reduces waste, in particular plastic waste, which is a growing problem in our time. 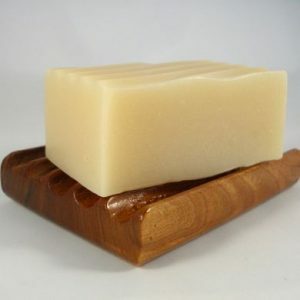 Solid Shampoo bars are great for travel as well, since you don’t have to worry about any potential for spillage or liquid restrictions. As the cold season approaches, it is crucial to pay extra attention to your daily hair care routine. In order to prevent winter dryness from taking its toll on your hair and to keep it at its healthiest, most radiant state. This is exactly what a hair mask can do for you. 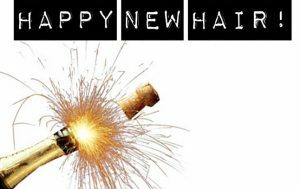 When exposed to the windy, harsh winter weather, your hair, just like your skin, undergoes several changes that disrupt the natural beauty of your hair. Your hair may end up suffering breakage, dehydration, frustrating tangles and split ends, frizziness as well as loss of volume, luster and shine. But there is no reason that your hair should suffer like this. Especially when you can choose to harness the magical power of top-quality, all-natural deep conditioning treatment masks such as our Happy Hair Oil Mask. With the aid of a good mask all these undesired hair changes can be successfully prevented. So when the weather plays rough, do your hair a favor and take a little time in order to protect your precious locks against the harmful effects of the environment and to restore its natural beauty. Quince is a rather unusual fruit that is closely related to apples and pears. Its scientific name is Cydonia oblonga. It is the only member of its genus Cydonia. The quince tree is deciduous and rather small, while the valuable ripened fruit is yellowish-gold color and somewhat similar to pears in shape and consistency. You can utilize quince in jams, jellies, juices and so on, as well as use them in a similar way to pears as a side dish or a breakfast food. Dried quince can be used as a tea and ground dried quince is an excellent refreshing flavoring agent. Different countries use quince in different ways. 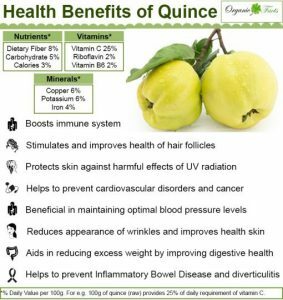 The real nutritional benefit of quince is in the skin and the fruit. It is packed with beneficial nutrients, including vitamins, minerals, phenolic compounds and antioxidants.